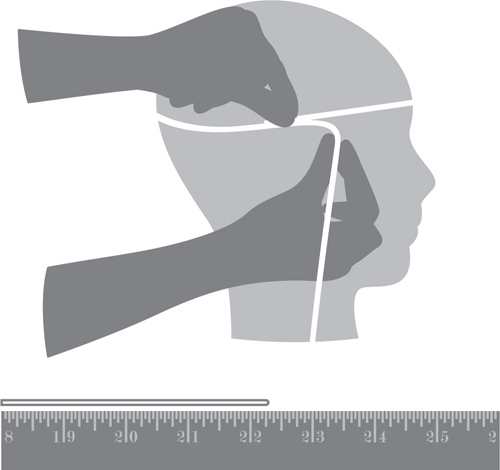 Place measuring tape around your head just above your ears at the approximate area you want your hat to rest. Pull the tape or string snug, not too tight, and take the measurement in inches or centimeters. Then use the provided chart to determine your size. If your measurement falls between sizes, choose the next largest size.